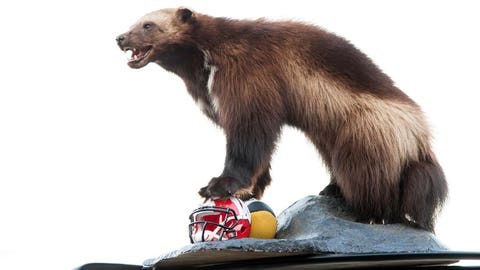 A wolverine is pictured before the game between Michigan (5-1) and the Wisconsin Badgers (4-1) at Michigan Stadium. 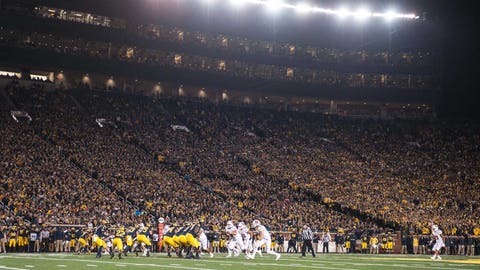 There wasn't an empty seat at "The Big House" on Saturday night. 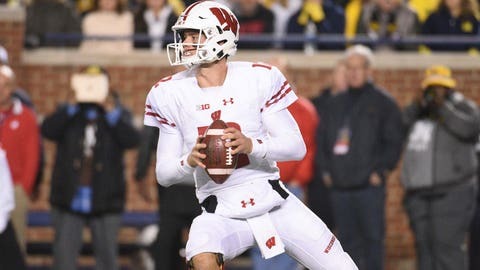 Alex Hornibrook struggled on the road, throwing for just 100 yards, one touchdown and two interceptions on 7-of-20 passing. 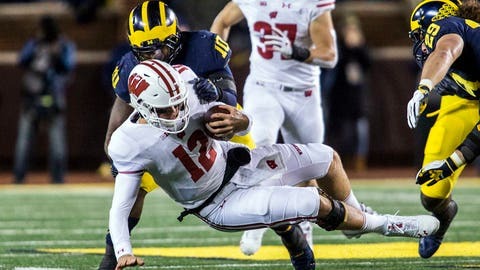 The Wolverines limited Wisconsin to 283 total yards -- 183 on the ground and 100 through the air. 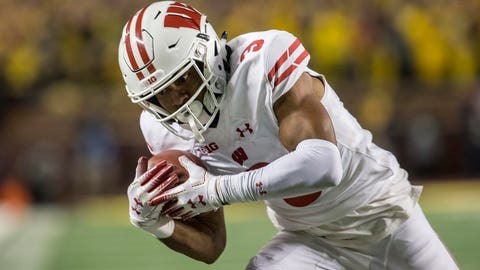 Wisconsin's Deron Harrell tackles Michigan Oliver Martin in the second half. 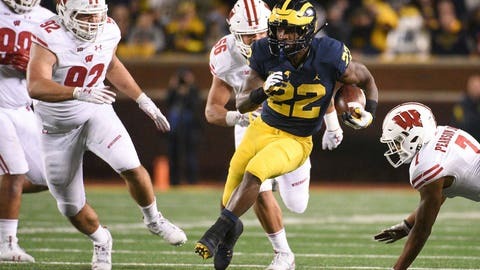 Karan Higdon rushed 19 times for 105 yards and a touchdown for Michigan. 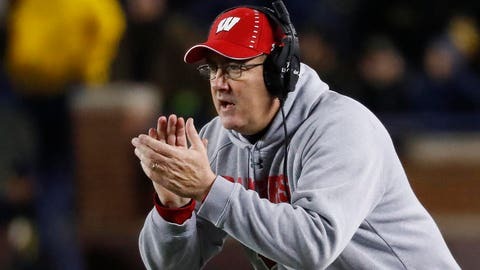 Before Saturday's loss to Michigan, Paul Chryst and the Badgers had won 17 straight regular-season games over Big Ten foes. 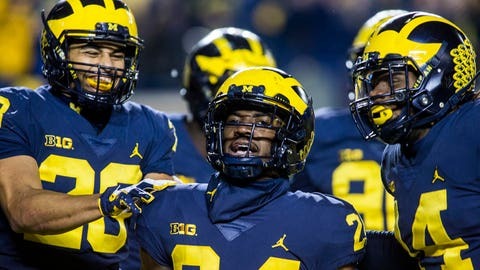 Michigan defensive back Lavert Hill celebrates his interception returned for a touchdown that put the game out of reach for Wisconsin in the fourth quarter. Kendric Pryor caught two passes for 30 yards, including this 27-yard reception in the fourth quarter. 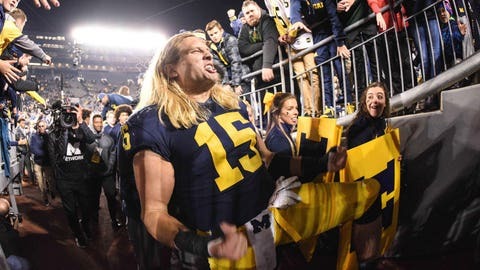 Michigan's Chase Winovich walks off the field, celebrating the Wolverines' dominant 38-13 win over Wisconsin at "The Big House."